A long time companion to composite decking, Treated Timber 47mm x 100mm joist performs best for substructures up to a height of 200mm. 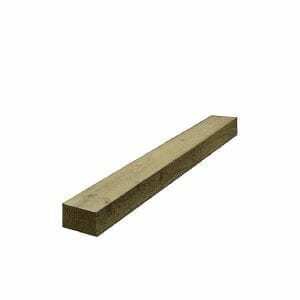 Recommended for uneven or soft ground, the Treated Timber 47 mm x 75 mm makes quick work of building a frame that will support the composite decking. As used for structural construction for a robust installation, the high pressure treated whitewood will give you the quality structure for outdoor living. One of the most important decisions to take when starting off building your composite decking project is ensuring the correct substructure. A well supported sub-frame can provide time saving and prevent problems in the future. Prior to installation ensure you have the correct materials by seeking local guidelines if applicable. Always use treated timber for outdoor projects. It is important that all cut ends are re-sealed with a proprietary treatment.